In Stock & Ready For Dispatch – Hassle Free Shopping At It’s Best! Tired of working in a bad sounding room? Want your voice over work to shine without losing its emotion and energy? 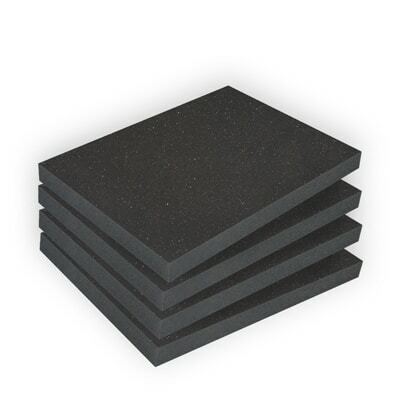 Then our unique Acoustic Foam is for you. A smoother absorption curve from 125 Hz. – 500 Hz. than any other foam on the market. This range is the heart of your vocal frequencies. A technology that manages side wall reflections so your microphone can hear the direct sound from your voice and not the reflected energy of your room. A technology that does not drain the life out of your room like standard foams. A box of 4 pieces with each piece measuring 25″H X 18 1/4″W X 2″D for just $124.97! A foam that finally lets the nuance and timbre in your voice shine through in every recording you make. 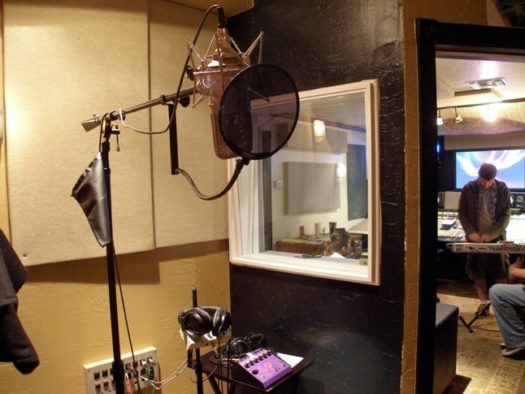 Finally you will have a room that is an acoustical pleasure to record in and a voice that is very much in demand. 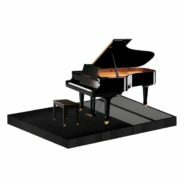 Fed up with the room echo in your recordings? 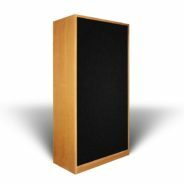 Tired of always having to set up bulky and expensive baffles which still don’t completely eliminate the reverb in your room? As a voice over artist this is the last thing you should be worried about and yet that will always happen when you record voice in an acoustically untreated room. Your room can blur and smear your precious vocals leaving you with a compromised recording experience. It can affect the quality of your work whilst also needing your time and attention to edit out in post production. 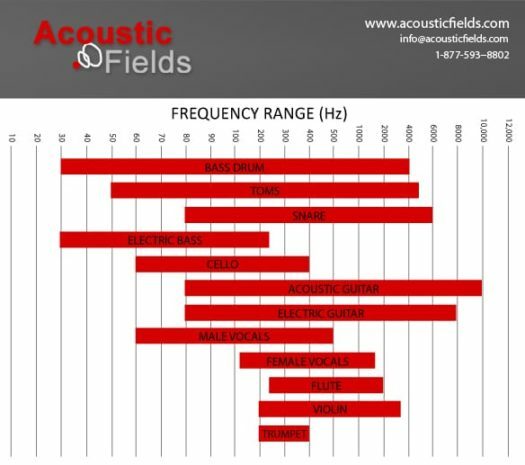 Well that can all be a thing of the past if you treat your room with the acoustic foam from Acoustic Fields. Our foam is designed to get your room out of the way so you can improve the definition and clarity of your voice over recordings. We put the focus on making your voice the most important element in the presentation so it can shine through and allow your listeners to experience the nuance, intimacy and timbre of your voice as it is meant to be heard. Quite simply, that red curve above is the difference between OK and outstanding voice overs. 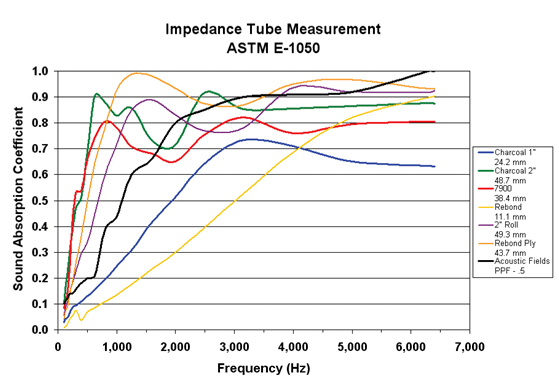 You get a technology that was developed specifically for voice with more absorption below 250 Hz. 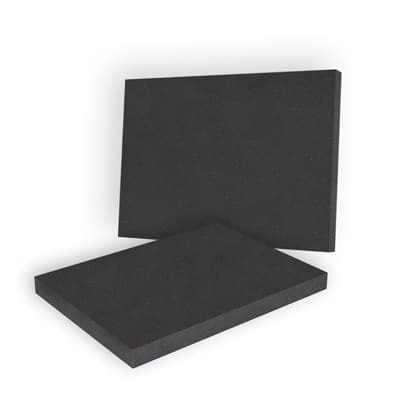 than standard foams, and a smoother absorbing curve from 125 Hz. – 500 Hz. which is the heart of the vocal frequencies. It means you can enjoy clearer and cleaner voice definition so your audience can have a more intimate experience with your voice. You get a technology that will manage side wall reflections so well that your microphone will hear the direct sound from your voice, which is the purest kind as it is the sound that does not contain the room. This will ensure you can hear the purest sound the artist and engineer recorded so that your vocals and middle range instruments will pop out for you in your room. You will get a technology that absorbs at the correct rate and level for voice ensuring it does not drain the life out of your room like so many other foams. You wont be destroying precious sound energy through over absorption like so many dreaded “dead room” studios. Instead you will hear the intimate timbre of your voice in every recording ensuring you have a room others will envy. – And wall mounts so you can hang the units on your wall and move them in and out of your room if your recording room serves multiple purposes. I didn’t like what was already on the marketplace because it didn’t bother going after 50% of the human vocal range! I thought that was unacceptable given how important voice is to me, my friends and no doubt you. I figured if other companies weren’t prepared to invest the time and energy to get the solution voice over artists so deserve then someone had to and, luckily, I was in a position to do just that. Act now as this price is going up again shortly so don’t miss out. 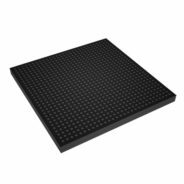 As the exclusive designer and manufacturer of this acoustic foam technology you cannot buy it in any other store or on any other website. If you’re sincere about wanting sonic perfection, then this is most definitely for you. 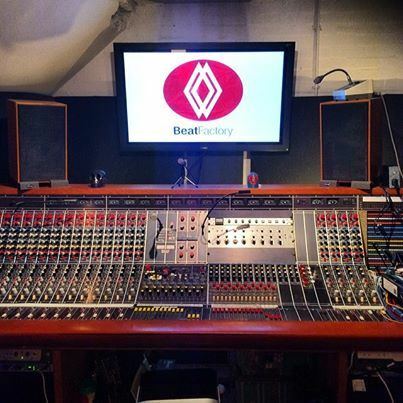 Don’t live with a compromised recording environment for a minute longer. Take action now, believe me, you’ll thank me for this, for years to come. Acoustic Foam Testimonial 1. by Javier Weyler, Professional Audio Engineer and Drummer http://en.wikipedia.org/wiki/Javier_Weyler, London. Javier has been a Professional Audio Engineer for 15 years and played in BRIT Award winning UK rock band The Stereophonics http://en.wikipedia.org/wiki/Stereophonics for 8 Years. 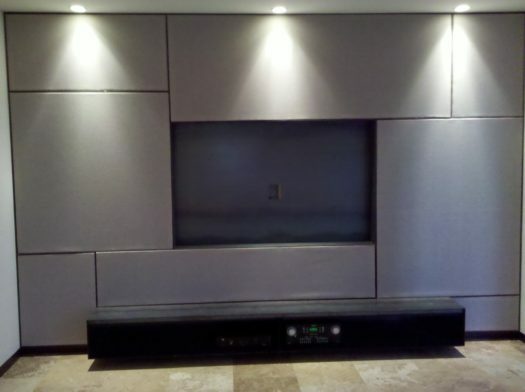 Here he discusses the Acoustic Fields Acoustic Foam. Acoustic Foam Testimonial 2. by Professional Voice Over Artist Ken Theriot of Home Brew Audio. 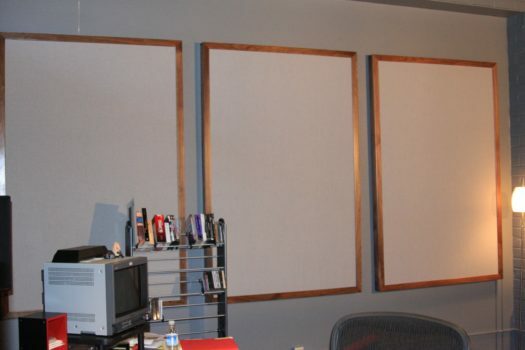 Acoustic Foam Testimonial 3. by Don Salter, owner of Saltmine Studios. 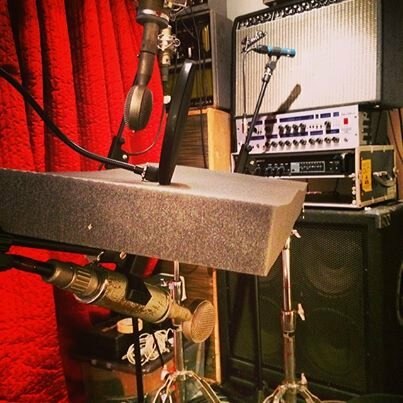 I’ve been recording both music, voice-overs, talking-head videos, and podcasts in my home recording studio for the past 10 years. All that time, I have used the same converted bedroom as my studio. and all that time I’ve battled the echo-y, reverb-y sound imparted by the poor acoustics of my room. On the one hand, the techniques I discovered for minimizing the room sound in my recordings have helped some. But nothing I tried could completely eliminate the bad room sound. I tried expensive reflection baffles, putting the mic in foam boxes open on just one side, recording in a closet with wool coats and blankets over my head (like THAT’s practical), and most recently, a foam ball that you completely cover your microphone with. None of these “solutions” were effective AND practical (the closet with the coats eliminate room sound, but for daily recording…..really?). Then I discovered the acoustic foam from Acoustic Fields. I was stunned. After having tried so many other things I wasn’t sure what to expect. But the difference after I put some of these lightweight flexible panels on the walls of my room seemed unreal to me! My wife (fellow singer and voice-over artist) and I conducted several before and after tests and here is the wonderful surprise. Not only did the foam neutralize every unpleasant sound the room was adding, it somehow ADDED to the quality of our recorded voices! We listened to the “after” tests very critically with good reference headphones to confirm this. But sure enough, we were hearing elements and pleasant nuances in our voices that we had never heard before in our recordings. What was really happening was not that foam was ADDING anything, but rather ALLOWING us to finally hear our natural voices – the way they SHOULD be heard. NO MORE P-POP EDITING! 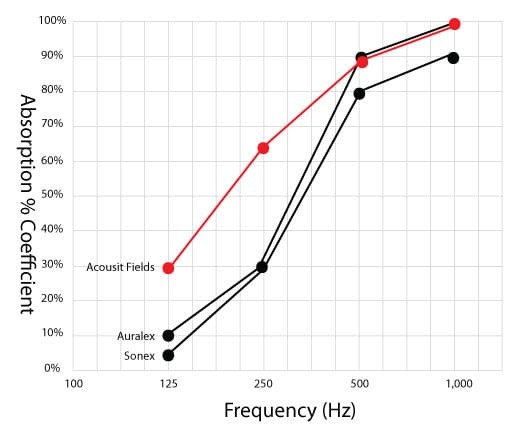 An additional – and VERY welcome – benefit of the Acoustic Fields Foam is that we can finally back away from the microphones by several inches without introducing any room sound, which means plosives do not create offensive “p-pops” into our recordings. It also means we can use the “Omnidirectional” setting on our Rode NT2A mic for use recording 2 or more people at once (podcasts, vocal harmony groups, etc.). This may sound minor, but in reality I would have bought the foam for this reason alone! For the past 10+ years, part of producing any vocal – including long audio-book voice recordings – was editing out excessive plosives/p-pops. This added a huge amount of time to the process, up to several hours on longer jobs. Now I don/t have to spend a single second in post-production in the tedious process of p-pop removal. It’s like I’ve died and gone to heaven. The bottom line is this – the Acoustic Fields acoustic foam allows us to work in our room; to turn the room into a partner and asset, rather than treat it like an enemy. There is no more need to set up bulky baffles on extra mic stands or banish ourselves to a closet. It is a pleasure to have the space and the extra time to concentrate on producing great audio from the start, not fixing flawed audio to make it sound decent. The biggest difference I felt, not only in vocals but other instruments as well like drums and so on, it makes the room sound much more natural, and for instance, a vocal tends to sit better, at least you get I will say, perhaps sits better on the track, but perhaps your whole mix just becomes clearer and there’s more definition with the different instruments and different frequencies, helps a producer to get your mix sounding right because you have a better knowledge where things are basically.